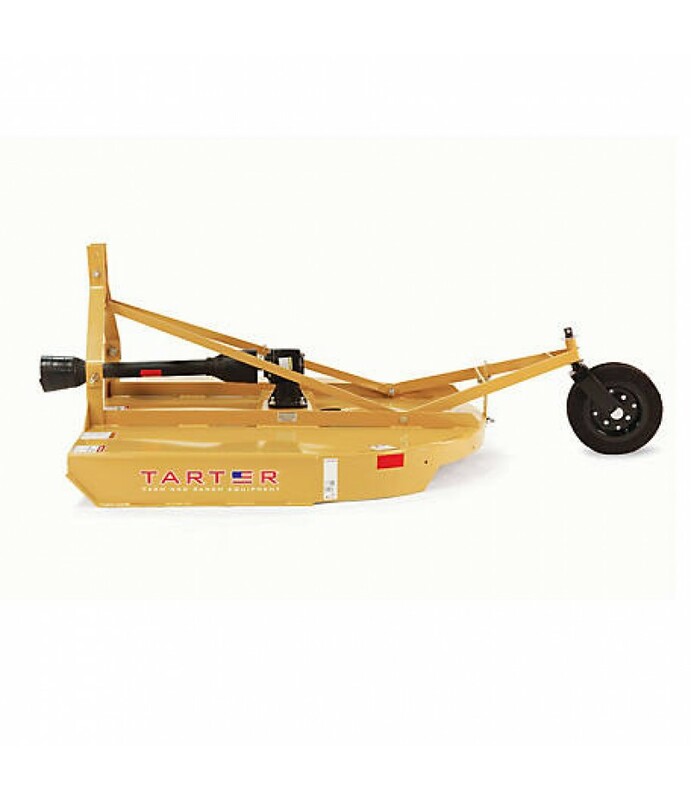 Tarter's 3-Point rear attached cutter is available in 4', 5' and 6' sizes and is designed to cut grass, stalks and light brush. The sleek round back is ideal for mowing in tight corners. This product is designed for 25-45 PTO hors.. Cutting Thickness Range: 0 - 1 in. Minimum Cutting Height: 1.5 in. Product Weight: Approx. Weight: 463 lb.